The City College of New York's Student Life and Leadership Development presents Black History Month celebrations on February 5 and 28. The Black History Month celebrations at The City College of New York commence with a kickoff event and discussion with Vanessa K. ​Valdés, director of the Black Studies Program. The events are brought to you by the Student Life Activities Program Committee from the Department of Student Life & Leadership Development and the Black Studies Program. All events are open to CCNY faculty, staff and students. 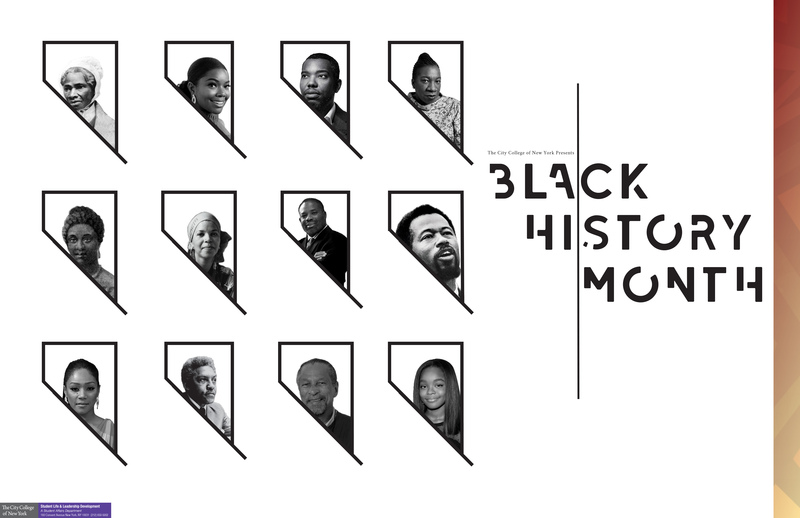 Black History Month Kickoff: Celebrating Our Powerful Voices with ​Dr. Valdés witnesses the debut of honored individuals chosen by the student committee for the BHM wall on Tuesday, February 5 from 7-9 p.m. in the NAC Ballroom. Soul food will be served at the event, and please RSVP here. The Black Studies Program presents Student Town Hall: Meet the New Black Studies Director Dr. Valdes. The event takes place in Shepard Hall, Room 350 on Thursday, February 7 from 12:30-1:45 p.m. and is open to BSP majors, minors and all interested. Dr. Valdés will also present "Legibly Black? The Portraits of Arturo Alfonso Schomburg” at the Center for Worker Education on Tuesday, February 26 at 6 p.m. She will examine the life of Arturo Schomburg—historian, writer and activist—through the lens of Blackness and Latinidad. The panel discussion, Talking Equity in Academia, will be from 12:30-2 p.m. on Thursday, February 28 and offer strategies for how to best navigate the world of higher education as students, graduate students and faculty. Share experiences and best practices will be offered on how to overcome obstacles to success that affect communities of color in the U.S., such as prison-pipeline systems, structural inequalities and lack of mentors. Confirmed speakers for the panel discussion include: Zaire Dinzey-Flores (Rutgers University), Shelly Eversley (Baruch College - CUNY), Megan Wacha (CUNY), Terri N. Watson (CCNY - School of Education) and ​Kim Hall (Barnard College). Please RSVP here. For more information on Black History Month at City College, contact the Department of Student Life at studentlife@ccny.cuny.edu or the Black Studies Program at blackstudies@ccny.cuny.edu.